Alaska is probably more popular for being one of the most remote and largest states in the US. In fact, an online search for “Alaska” might bring up images of snow-covered lands and beautiful scenery. However, one of the lesser known facts is that the large state is actually one of the best states to start up and run a successful business. One of the reasons the state is doing so well on the business front is that it is high up on the list of the most tax-friendly business states in America. The spirit of commerce is very active there, boasting of the second highest rate of new entrepreneurs in the country. One of the areas of your business where you will have complete and unrestricted liberty is in picking the kind of business you wish to start. Mostly favored are businesses that one is passionate about, suits their immediate community, and showcases well their natural talents. An analysis by the state of Alaska shows the statistics of every occupation in the State of Alaska, including their earning potentials, average earning, and popularity. Actors in Alaska will not receive much in business opportunities, but the physical therapy business has enough openings and space for growth in Alaska. Once you have established what kind of business you plan on starting, you will need to create a comprehensive business plan. Your business plan should be a complete summarization of your proposed business plan, including your financial needs, goals, and marketing plan. Writing a business plan before starting a business in Alaska will help create a clearer picture of the entrepreneur’s idea, and give potential investors an idea of what the business proposal is about. Business planning is an important element in the steps towards starting a successful business. The LLC is the most popular business structure, mostly because it offers entrepreneurs the benefits of a corporation, without the cons it brings. You can also decide if you want your business to be handled as a corporation or a partnership. In Alaska, an LLC business structure also offers the choice of a Single Member Limited Liability Company (SMLLC), where you can be taxed as either a corporation or a sole proprietorship. In Alaska, you can set up an LLC for as little as $250. With up to 100 shareholders, corporate officers and other investors, you can register as an S corporation, which is a more formal structure. All losses and income go through the shareholders. This structure follows almost all the same patterns as the S corporation, except that there is an exception in the number of shareholders involved, and the taxes and losses incurred have to be borne by both the shareholders and the business. A sole proprietorship business structure offers businesses the least trouble, but at the expense of a higher risk margin. A sole proprietorship is automatically given to businesses that fail to register formally under a business structure. According to the Alaskan laws, a business license is necessary for businesses to fully and legally engage in business in the State of Alaska. Business licenses acquired may cover different areas of business. Some countries require just a business license, but depending on the kind of business you will run, you may need to get extra taxes, professional licenses and special permits. 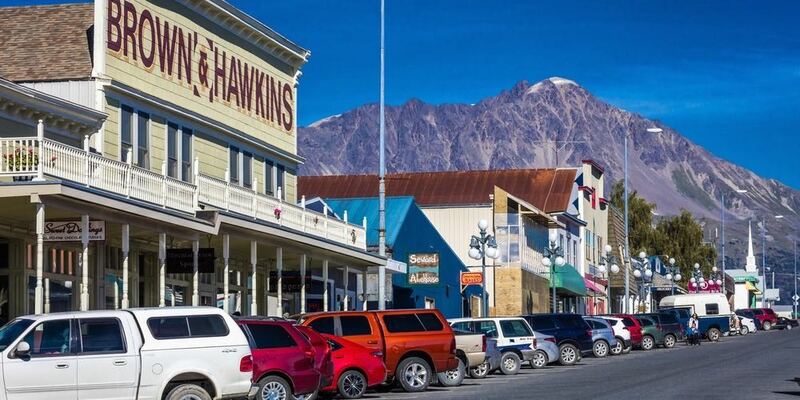 Before getting a business license in Alaska, you will need to think through the choices of business structures and find the one best suitable for your business. Once you determine the type of licensing you need, you can obtain it online, from the website Alaska Division of Corporations and Professional Licensing. To get full details on businesses that require additional licensing and permits, you might need to get in touch with the municipality where your business will be based. Determining the kind of business structure your business requires will depend on the circumstances surrounding your business. Each business license in Alaska is billed at $50 per year, and the time to process the licenses will vary according to the type of business entity. It can take anything from a few days to two weeks. Financing your business at its startup stage can be tricky indeed, but entrepreneurs should not make the mistake of financing the business with their own personal bank accounts. There are now a lot of available funding sources, and businesses can take advantage of these. Centers like Alaska’s Small Business Development Center are available for advice on financial planning and options available. The leading community lender in Alaska, the Alaska Growth Capital, provides loans for starting businesses. Once you have taken care of all the legal and financial steps, the next thing to do will be creating and working on your brand. A professional looking brand is necessary to lend an air of credibility and competence to your business. Your business logo and a professional looking website are some of the most important things to keep in mind when designing your logo. You will need to properly capture the aim and essence of your business, and choose a design that makes your brand stand out clearly from rival businesses. Make your design memorable and professional, and make sure that it communicates all that your business stands for. Once you have implemented all of these steps, your business should be ready to kick off legally and smoothly. These are the main steps to take towards starting a business in Alaska, and once these are properly done, you can then think about advertising on social media, building awareness, and evolving your brand as times and needs change.